Our pets must rely on us to provide and maintain a healthy, nutritional diet for them. Nutrition is one of the most important factors in maintaining your pet’s good health. Proper nutrients are necessary for every organ system in the body to function properly. Providing a healthy diet is a component of strengthening the human-animal bond between you and your pet. Our trained and certified staff will help you choose the right diet for your pet. We evaluate your pet as an individual who deserves nutritional analysis tailored to his or her breed, age, lifestyle and health needs. A pet that is overweight may be experiencing an illness and may be more susceptible to disease and injury. Obesity is a complicating factor in heart conditions, arthritis, liver conditions and other ailments. 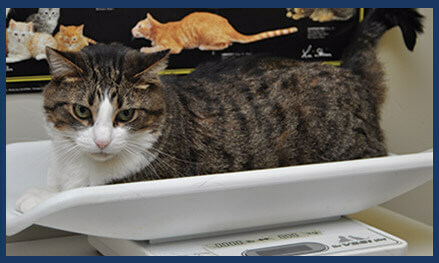 If you pet is overweight, there are many things you can do to help him get back into shape. Speaking with us is the first place to start. For some pets, feeding a diet formulated for weight loss and carefully selecting lower calories treats can help. Increasing exercise as appropriate for your pet may be helpful. Most often, simply learning the correct volume of food to offer works wonders. Our pharmacy carries a wide range of prescription foods and nutritional supplements that are formulated for the optimal balance of health and nutritional support for pets. Therapeutic diets are formulated to address specific health conditions and dental needs. Determining the best choices grows more difficult each day due to the overwhelming number of available pet food brands and conflicting online information. 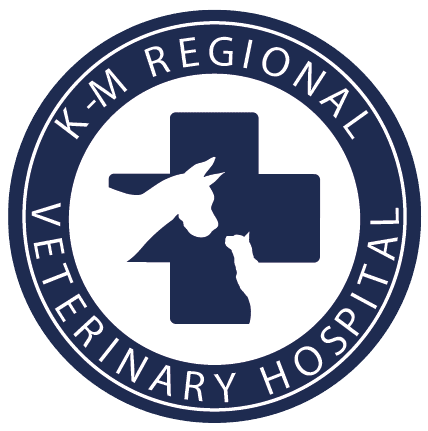 Please call us today to schedule an appointment with one of our staff members to discuss your pet’s nutritional needs.